Am 30. August 2018, wurde das Staatsoberhaupt der Donezker Volksrepublik Alexandr Sachártschenko bei einem feigen, hinterhältigen Anschlag ermordet. Er war in der Republik beliebt und geachtet wie kaum ein anderer. Mit der Waffe in der Hand hatte er seine Heimat verteidigt und sich bis zuletzt sich für die Normalisierung des Lebens in der von Krieg und Terror erschütterten Region eingesetzt. Als sich nach dem faschistischen Putsch in Kiew die Einwohner des Donbassgebietes im April 2014 in freier Wahl entschieden hatten, sich territorial, politisch und wirtschaftlich vom Machtbereich der Kiewer Junta abzugrenzen und eine eigene Volksrepublik zu gründen, richtete sich der Krieg der ukrainischen Faschisten nun umso mehr gegen das eigene Volk. Es begannen blutige Terrorakte, Überfälle und Kämpfe, bei denen unzählige Kinder, Frauen und alte Menschen auf offener Straße und in ihren Häusern und Wohnungen getötet wurden. Viele freiwillige Kämpfer mußten ihre Leben lassen. Von den westlichen imperialistischen Staaten wurde das Kiewer Regime mit Waffen und Söldnern unterstützt, ein gutes Geschäft auch für die deutsche Kriegsindustrie. Milliarden von Dollars flossen in dieses Land. Die herrschende Klasse in den USA, Deutschland, Frankreich, Großbritannien bemühte sich zudem, das Kiewer Regime überall hoffähig zu machen. Standhaft widersetzte sich das Volk gegen alle diese Angriffe und Sabotageakte. Und allmählich begann sich das Leben im Donbass zu normalisieren. Die Kinder konnten wieder zur Schule gehen, die Menschen atmeten auf. Hunderte von Lkws. – Hilfslieferungen mit Medikamenten, Kindernahrung und anderen dringend benötigten Lebensmitteln – kamen aus dem benachbarten Russland. Doch der Krieg ist noch immer nicht beendet. Täglich gibt es Bombenangriffe und Terrorakte. Und die westlichen Medien schweigen oder sie verbreiten Unwahrheiten. Es ist auch nicht zu übersehen, daß sich die selbsternannte Donezker Volksrepublik – wie auch die Lugansker – trotz antifaschistischer und demokratischer Züge noch längst nicht auf einem sozialistischen Entwicklungsweg befindet. Auch wenn Sachartschenko, wie fast alle seiner Landsleute sehr gut wußte, wie schon ihre Großeltern gegen die deutsch-faschistischen Okkupanten für ihr sozialistisches Vaterland, die Sowjetunion, gekämpft hatten. Einen solchen Weg konnten oder wollten sie nicht gehen. Zu tief waren auch dort noch die schlimmen Erinnerungen an Zeiten der Perestrojka und die darauffolgenden Bereicherungsorgien heutiger Oligarchen. Dennoch wird der Name Sachartschenko beim Volk in Erinnerung bleiben als einer, der sich gegen Krieg und Faschismus für den friedlichen Aufbau seines Landes, als ein vom Imperialismus unabhängigen Landes eingesetzt hat. Ten eventful days in Germany set alarm signals clanging louder and louder – worst of all in the East German state of Saxony – but in Berlin as well! In the first episode, in Saxony, the neo-Nazi PEGIDA movement, which has marched in Dresden on many Mondays since 2014, has faded with the growth of the more respectable-looking, more successful but equally racist Alternative for Germany (AfD), which now, with 25% in the polls in Saxony, is second strongest party, with a strong chance of winning next year’s state elections and forming or at least sharing the next government. In fact, it is close to edging out the Social Democrats as second strongest party in all of Germany. On August 16th the two closely-related far-right rivals, PEGIDA and AfD, joined in anti-immigrant, anti-Muslim togetherness for another protest meeting in Dresden, Saxony’s capital. At a PEGIDA rally six weeks earlier, at a time when a ship full of people rescued from drowning in the Mediterranean was desperately seeking a port, the crowd had chanted “Let it sink! Let it sink!” For the August 16th rally a TV channel sent out a team to film these or similar goings-on. 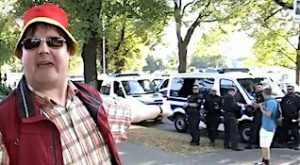 Suddenly an ugly-looking demonstrator with an odd cap in the colors of the German flag ran in front of the camera shouting that they were filming him without his consent, thus breaking the law. The journalists told him to simply walk away if he didn’t want to be filmed. Instead, after shouting angrily into the camera, he called the police and insisted that they arraign the “law breakers”. The police obliged and held the team virtually captive for 45 minutes to “register their identity” and write up the mutual accusations. This effectively blocked their filming – clearly what the man had intended. The story, with the angrily shouting face, hit the national media, accompanied by accusations that the police had worked hand in hand with PEGIDA to curb freedom of the press. What followed was curious: the minister-president of Saxony, a right-wing Christian Democrat (Merkel’s party), sided not with the TV crew but with the police – for “properly doing their duty”. Under pressure he promised to “further investigate” the case. 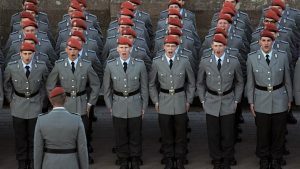 Then came the crowning revelation – a discovery that the angry protester was himself an employee of the state police authorities – “not in duty but on vacation”. Police and PEGIDA seemed somehow in cahoots! Two days later it was Berlin’s turn. Every year the Nazis, old and new, mark the death in 1987 of Hitler’s Deputy Führer Rudolf Hess, who flew a famous solo flight to Scotland on May 10th 1941 in an unsuccessful attempt to make peace with Britain six weeks prior to the Nazi attack on the USSR. Hess committed suicide in 1987 while imprisoned for life in a four-power prison in West Berlin’s Spandau district, and while the prison was torn down years ago to prevent its becoming a shrine, the Nazis meet there anyway. Last year they were outnumbered by anti-fascists – 2000 to 800 – and thus kept from carrying out their planned march. This year they again called for a march. Berlin’s city-state minister responsible for law and order, a Social Democrat, stated regretfully that he could do nothing to legally prevent them and OK’d it. So the anti-fascists again organized a protest, with church groups, party groups, unions and others organizing a big counter-rally and, by some, a blockade of the Nazi march route. About 2500 showed up. There were very few Nazis, they could hold no rally and the battle seemed won; church bells knelled in triumph and local political leaders were jubilant. Then it leaked out that this was the wrong place! The Nazis had evidently agreed with the police to forget Spandau and switch their march through a left-leaning area in East Berlin, with one section known for so-called “autonomous”, action-prone young people, whose anti-fascist action often included bottles and stones. Police units, part of the 2300 assembled that day, now marched alongside about 700 Nazis from their starting place (now United Nations Square, in GDR days it had been Lenin Square) along the entire route, protecting them against small, hastily assembled groups of anti-nazis, including a very few bottle or stone-throwers of the masked, “black bloc kind which the mass media love to stress. Some rules for the march had been handed down: no boots, no uniform, no mention of the name Rudolf Hess. Instead, their big banner at the front quoted him in big letters: “I regret nothing”! In the meantime the main anti-fascist group in Spandau, off in the city’s western outskirts, was trying to get back into town to stand up properly to the Nazis. But the police first hindered them from reaching the train station and, when many finally did slip through, the police prevented them – and other passengers – from leaving the train stations nearest the Nazi march and even stopped a train which would have taken them close to the final Nazi rally. The police could thus boast, by and large, that peace and order had been maintained. The Nazis could boast that they had accomplished what they had planned. As for the city government, a delicate coalition of Social Democrats, Greens and also the LINKE (Left), they had nothing to boast of; indeed, there were no audible statements of any kind. Peace and order were frighteningly absent the next weekend in Chemnitz (after Leipzig and Dresden the third biggest city in Saxony). A Saturday evening city festival was suddenly ended by a murder; a young man of 35 died of knife wounds after a fight. Two young immigrants were arrested, a Syrian and an Iraqi. The mass news rag BILD quickly spread a story that he was killed while protecting a German woman harassed by the foreigners. 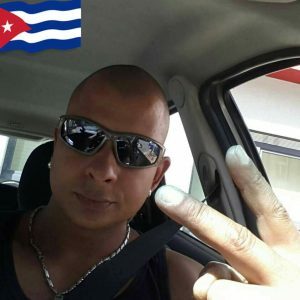 The story, a total invention, spread like wildfire in Facebook and other social media; the fact that the victim’s father was Cuban and the background of the fatal fight was still a secret was of no importance; the victim was “a German killed by knife-wielding foreigners, asylum-seekers”. 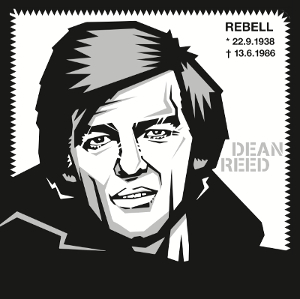 On Sunday evening a memorial march to the site of his death, with flowers and candles, swiftly turned into a wild chase by 800 fascist types against anyone who looked “foreign”, against those calling for calm, against any and all journalists, considered enemies, and against the pitifully small contingent of police trying to separate opposing groups. 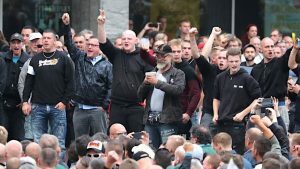 By Monday evening the fascists – with supporters from all over Germany – had rallied a mob of about 7000 thugs who basically seized and controlled the city center. The police, although certainly forewarned, had strangely assigned only a puny contingent of 600 cops with two water cannon, which proved almost totally ineffective. 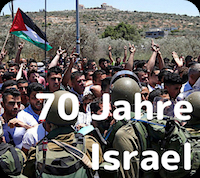 The wild attacks of the previous evening were multiplied against journalists but especially against the courageous 1000 to 1500 who held up banners saying “No to Racism and Violence” or “Chemnitz – Free of Nazis” – and were only partially protected by the police. Luckily, except for one man whose nose was broken, only a few were injured – but this was less a result of police “separation” than the steadfastness of the anti-fascists. Chemnitz has a varied history. An industrial city specializing in heavy machine tools, it leaned strongly to the left before Hitler took over. It was hit heavily by wartime bombing. In 1953, in the days of the East German Democratic Republic, it was renamed Karl Marx Stadt, with the approval of one sector of the population and the silent disapproval of another. After German unification in 1990 76% voted to return to the name Chemnitz. 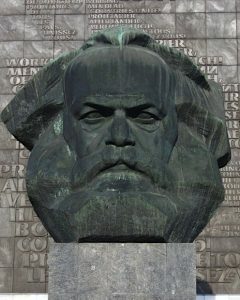 But part of its heritage included a massive bronze bust of Karl Marx, erected in 1971 – 23 feet high and with its granite pedestal 43 feet. Perhaps surprisingly, the Chemnitzers decided to keep this monument, which they fondly nicknamed “nischel”, a slang word like “noggin”. It became a main attraction of the city, with souvenir replicas even in chocolate. Offers to buy it from West Germany and the USA were rejected. Behind it, in large stone letters, are the Communist Manifesto words “Workers of the world unite” in German, English, French and Russian. Last Monday the mob surrounded the Marx bust. They did not damage it physically, but films show thugs shouting from the pedestal, with one man raising his arm in the legally forbidden Hitler salute! The slogans, written or shouted, were in a similar vein. The biggest banner said in local dialect, “We wanna be German – and free”. Many shouted the “We are the people” slogan used by the anti-GDR crowds in 1989, but now directed against foreigners, Merkel, LINKE, the press, anyone but fascists. How could this happen? Although unification (or “annexation”) was 28 years ago – it will again be celebrated on October 3rd – wages in Saxony are almost a quarter lower than in Germany nationally, although hours average longer. The all-German average jobless rate is 5.1% – but 7.3% in Chemnitz, with a high proportion of hope-destroying “precarious” jobs. Many here are angry – and misled, and there are a variety of racist and fascistic groups, which all joined together! The fascistic Alternative for Germany, although always disparaged by the other parties, has been given surprisingly generous treatment by most of the media which, although the fascists attack them as pro-immigrant, have actually played up every criminal deed by an immigrant or other “non-German”, often for weeks and months, while hardly mentioning or quickly dismissing countless attacks on people of color or wearing head cloths or with other “non-German” characteristics. Merkel’s CDU party, despite its “tsk-tsk” rejections of mob actions, almost always condemns both “left and right extremists” but often stresses the former, who are usually the most active and often the only sector really fighting the Nazi menace. 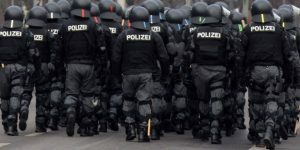 In Saxony, recent years have seen many violent but hardly punished attacks on immigrants and often revealed suspicious connections and collusion between conservative government institutions on many levels and the fascist mob, most alarmingly with the Bureau to Defend the Constitution (Verfassungsschutz), which is much like the FBI. What will happen if in states like Saxony the AfD shares or even heads a state government? Déjà vu 1932? The fascists marched again Thursday evening, but a big anti-fascist counter-rally is planned for Chemnitz on Saturday, September 1st. Other major protests are planned for Berlin and Hamburg in September and October. A big new attempt to push back this scary onslaught is due to be launched on September 4th; Aufstehen – Stand Up – hops to create not a new party but a movement, uniting people Social Democrats, Greens, the LINKE or any others in a combined effort to win successes for working people: affordable homes and controlled rents, better wages and pensions, taxes on the super-wealthy, stronger unions, and peace in the world. This and the other efforts represent hopes for fighting back. Their success could be crucial in all of Europe, indeed in all the world. Only the author is responsible for the content of this article. It doesn’t have to be the opinion of the editorial board. and even small donations can help to publish big things! Allgemeine Dienstpflicht – wem nützt sie? Im so genannten „Sommerloch“ wurde die Frage einer allgemeinen Dienstpflicht diskutiert. Trotz einiger kritischer Stimmen, auch aus den Reihen der Bundeswehr, hat sich das Thema allerdings keineswegs erledigt. Im Gegenteil: CDU-Generalsekretärin Kramp-Karrenbauer schlägt am 25. August 2018 sogar die Ausweitung einer Dienstpflicht auf Flüchtlinge vor. Zu einem Pflicht-Charakter wollte sie sich noch nicht abschließend äußern, schloss das aber auch nicht aus. Sie verweist darauf, dass die CDU sich sicher bald für ein Modell entscheiden würde; zu den Vorschlägen dort gehört aber ausdrücklich auch eine Dienstpflicht. Deshalb hier einige kritische Gedanken. Der Idee zufolge, soll diese Dienstpflicht sowohl für Männer als auch für Frauen gelten und entweder im militärischen oder zivilen Bereich abgeleistet werden. Es würde sich also nicht nur um eine Neuauflage der Wehrpflicht handeln. Vielmehr schaffte sich die Regierung, ganz im Sinne des Kapitals, eine bequeme Möglichkeit, billige Hilfskräfte für die Altenpflege und andere Bereiche zu rekrutieren. Irgendeine soziale Motivation, eine angebliche gesellschaftliche Verantwortung aller usw., wie gerne in Sonntagsreden propagiert, sprechen wir dieser kaltschnäuzig antisozialen Regierung ab. Stimmen aus der CDU begrüßten diese Idee. Aber – sehr verräterisch! ‒ sie begründen dies unter anderem mit einer „veränderten internationalen Sicherheitslage.“ Aha! Es ist klar, dass damit vor allem die angespannten Beziehungen zu Russland gemeint sind. Aber auch die zunehmenden Widersprüche innerhalb des NATO-Bündnisses, insbesondere zwischen den USA und den europäischen Staaten, spielen eine Rolle. Natürlich bedeutet ein Pflichtdienst für beide Geschlechter (zudem auch noch für Geflüchtete) in dessen Rahmen zumindest mit einer beträchtlichen Zahl auch an militärischen Rekruten gerechnet werden müsste, einen ungeheuren logistischen und finanziellen Aufwand für den Staat. Deshalb wurden in den letzten Jahren der Wehrpflicht auch nicht mehr alle Wehrpflichtigen eines Jahrgangs eingezogen. Führungskräfte der Bundeswehr sind daher skeptisch: Nur relativ kurzzeitig und oberflächlich ausgebildete Kräfte könnten aktuell den angeblichen allgemeinen Personalmangel lösen, insbesondere bei den aktuellen Einsatzgebieten der Bundeswehr im Ausland. Es brauche aber langfristig ausgebildete Berufssoldaten. Das war ja auch eine Begründung für die Aussetzung der Wehrpflicht. Allerdings werden diese Bedenken dahin schmelzen, wenn die von Frau von der Leyen angekündigten Milliarden für die Bundeswehr bereitgestellt sind. Der Merkel-Regierung – das wurde gerade klar ‒ „steht das Geld bis zum Hals“. Sie erwirtschafte massive, den Arbeitenden Menschen abgepresste Überschüsse. Ihr stehen Milliarden zur Verfügung. Die Führung der Bundeswehr wird ihre Bedenken also gewiss „zurückstellen“. Wie stehen die Kommunisten zur Wehrpflicht bzw. Dienstpflicht? Grundsätzlich sind Revolutionäre der Meinung, dass ein geschulter Umgang, auch mit schweren Waffensystemen, für die Volksmassen, im Falle einer revolutionären Situation, vorteilhaft ist. Ob eine Wehrpflicht dazu die einzige Möglichkeit ist, ist umstritten und daher bedarf diese Frage einer weiteren Erörterung, die an dieser Stelle nicht erschöpfend geleistet werden kann. Klar ist in jedem Fall, dass es immer auch ein Recht auf Verweigerung geben muss. In unserem Land herrscht eine überwiegend kritisch-distanzierte Haltung innerhalb der Bevölkerung zur Institution Bundeswehr, insbesondere zu deren Auslandseinsätzen, wie immer wieder aus Umfragen hervorgeht. 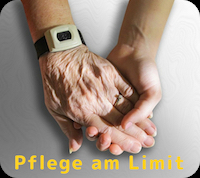 Gesetzt den Fall, eine allgemeine Dienstpflicht würde eingeführt, dann käme ein beträchtlicher Teil der Eingezogenen in zivile Strukturen, vornehmlich im Bereich Pflegedienste, und würde in Konkurrenz zu hauptberuflichen Pflegern treten, welche ohnehin schon zunehmend durch unqualifizierte, billigere ausländische Hilfskräfte ersetzt werden. Nach Aussetzung der Wehrpflicht wurden bereits diverse Freiwilligendienste im sozialen und ökologischen Bereich geschaffen, z.B. : „BuFDi“ oder FSJ: Auch diese verdienen in einem kapitalistischen System eine kritische Betrachtung. Grundsätzlich wäre die Idee eines freiwilligen Dienstes, sei es im Umweltschutz, der Arbeit mit Benachteiligten oder in der Kultur, begrüßenswert. Doch damit diese eben nicht zum Schaden der Werktätigen und ihrer Einkommen sind, brauchen wir eine andere Gesellschaftsordnung – den Sozialismus! Bereits in der jungen Sowjetunion hatten sich sogenannte „Subbotniki“ etabliert, das bedeutet, Menschen haben meist an freien Samstagen freiwillige, unbezahlte Aufbauarbeit im Dienste der Gesellschaft geleistet, z.B. zur Verbesserung des Verkehrswesens, zum Kampf gegen die Kälte usw. Dass diese Debatte aus den herrschenden Kreisen immer wieder gezielt angefeuert wird, ist kein Zufall. Nie vergessen: Die Wehrpflicht ist lediglich ausgesetzt und kann, im Falle einer „Bedrohungslage“, sofort wieder problemlos eingeführt werden. Das sollte jedem klar sein. Erstveröffentlichung heute oder vor wenigen Tagen in Arbeit Zukunft. Veröffentlichung mit freundlicher Genehmigung des Herausgebers. Bilder und Bildunterschriften wurden komplett oder zum Teil von der Redaktion AmericanRebel hinzu gefügt. Sahra Wagenknecht hat in der Asyldebatte von Anfang an deutlich gemacht, dass ihr das Grundgesetz genauso wurscht ist, wie denen, die jetzt in Chemnitz auf Straßen und Plätzen randalieren. Mit ihrem demagogischen Ausspruch: „Wer Gastrecht missbraucht, der hat Gastrecht eben auch verwirkt“, hat sie wesentlich dazu beigetragen, die Flüchtlingsdebatte in Deutschland in eine Richtung zu lenken, die von Pegida und der AfD ohnehin forciert wird. Sahra Wagenknecht trug in der Partei DIE LINKE, das Ihre dazu bei. Dabei hat sie ihren Satz bisher nicht ansatzweise revidiert. Im Gegenteil: Sahra Wagenknecht schlägt immer wieder in dieselbe Kerbe! Gegenwärtig schart Frau Dr. Wagenknecht in der von ihr gestifteten „Bewegung“ Aufstehen Gleichgesinnte um sich. Sie will wohl Druck auf die Parteiführung der Partei DIE LINKE auszuüben. Wagenknecht weiß, ihre Positionen in der Asyl-, Flucht- und Migrationsdebatte sind mit dem Programm der Partei DIE LINKE, deren Fraktionsvorsitzende im Bundestag sie immer noch ist, schlicht unvereinbar. Schlimmer noch: bisher hat Sahra Wagenknecht nicht erkennen lassen, dass ihr der Unterschied zwischen einem, egal wie gearteten Gastrecht, egal was sie darunter verstanden wissen will, und dem Grundrecht auf Asyl überhaupt bewusst ist. Sahra Wagenknecht vertritt unisono die Meinung ihres Ehemannes. Lafontaine hat bereits in der Vergangenheit entscheidend dazu beigetragen, dass das zunächst schrankenlos gewährte Asylrecht erstmals 1993 in wesentlichen Punkten eingeschränkt wurde. Ungeachtet dessen begründet Grundgesetz Art. 16a noch immer ein individuell einklagbares Grundrecht für alle Menschen, vor allem auch solchen, die nicht Staatsbürger der Bundesrepublik Deutschland sind. Die Rechtsstellung der Flüchtlinge beruht auf einem Grundrecht. Dieses kann, anders als ein „Gastrecht“, auch wenn Lafontaine und Wagenknecht das möglicherweise anders sehen, nicht verwirkt werden. Als ich über die Ausschreitungen und den Mord in den Medien gehört habe, habe ich sofort das Gefühl gehabt, dass da etwas nicht stimmt. Einerseits berichten die Medien so und andererseits berichten die Medien so. Da ich Nachtschicht hatte, entschloss ich mich von Montag auf den Dienstag nach Chemnitz zu reisen und selber danach zu forschen, was an den Vortagen dort passierte. Auf der Arbeit habe ich noch überlegt, welche Sinnhaftigkeit mein Besuch in Chemnitz hat und ob es überhaupt eine hat. Umso länger ich darüber nachgedacht habe, war ich mir sicher das ich hinfahren muss, um auf die Suche nach der Wahrheit zu gehen. Nach der tiefen Sehnsucht mit anderen Menschen zu reden, die vielleicht mehr wissen. Heraus kam ein Interview mit einem türkischen Genossen, viele kleine Gespräche aber auch die Erkenntnis, dass nicht alles Gold ist was glänzt und dass die Medien nicht imstande sind zu differenzieren. 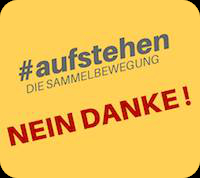 Besonders die Fernsehsender ARD und ZDF sowie die kompletten Staatsmedien behaupteten das sich in Chemnitz, Linke und Rechte gegenüberstanden. Das war aber nicht so, das hat mir sogar ein CDU-Mitglied bestätigt. Er sagte mir, dass bei den Krawallen die antifaschistischen Gegendemonstranten in keiner Weise gewaltsam vorgegangen ist. Im Gegenteil, dass was man als links bezeichnet, waren deutlich in der Minderheit. Er sagte weiter das bei der Gegendemo, also bei den die gegen Rechts sind, folgende Organisationen und Parteien anzutreffen, waren: die CDU, die SPD, die FDP, der Naturschutzbund, die AWO und verschiedene Einzelgewerkschaften. 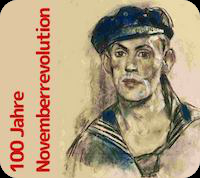 In der Minderheit waren die revolutionäre Linke, die interventionistische Linke, die Parteien DIE LINKE, MLPD, DKP und KPD sowie der rote Aufbau. Ein Gewerkschaftsmitglied der IG Metall und ein Mitglied der Gewerkschaft Verdi stimmten dem zu. Alle drei Mitglieder bestätigten ebenfalls das unorganisierte Bürger bei den Gegendemonstranten in der großen Mehrheit waren und das der Protest friedlich geführt wurde. Die bürgerlichen Medien berichten aber übereinstimmend, dass Linke Gewalt angewendet haben und das es immer wieder zu Zusammenstößen zwischen links und rechts gekommen ist. Das ist also gelogen, und sogar Polizeibeamte haben mit vor gehaltener Hand die Schilderungen des CDU-Mannes bestätigt. Ich stelle mir die Frage, warum hier die Staatsmedien übereinstimmend lügen. Ich bin in Chemnitz aus dem Zug ausgestiegen und wurde sofort beobachtet und nachdem ich das Bahnhofsgelände verlassen habe, habe ich Patrouillen der Nazis beobachtet. Überall war die Stimmung gedrückt, mies, voller Angst und eigentlich auch irreal. Es war eine Zeitreise ins Jahr 1933, so hat es sich für mich angefühlt. Denn es waren nicht nur Nazis die mich beschattet haben, sondern auch die Polizei hat ihr Übriges dazu geleistet, dass ich mich so gefühlt habe. Ca. 300 Meter hinter dem Bahnhof wurde ich Zeuge davon, wie ein junger Mensch, mit vermutlich ausländischen Wurzeln, von einem Nazi geschlagen worden ist. Der Nazi hat dem Jungen empfohlen sich doch selber um zu bringen. Polizisten saßen 20 Meter davon entfernt in ihrem Auto und unternahmen nichts. Als der Junge sich von den Faustschlägen erholt hatte, hat er sich schnell entfernt. Ich stand daneben und dachte mir das, dass jetzt der Normalfall in Deutschland werden könne. Ich habe den jungen Mann festgehalten und bin mit ihm zum Polizeiauto gegangen und er machte mich gleich darauf aufmerksam das, dass keinen Zweck hätte, weil er ja Migrationshintergrund hat. Ich habe dann den Jungen festgehalten und wir beide gingen zu diesem Polizeiauto. Die zwei Polizisten, darunter eine Frau, hatte die Scheiben ihres Dienstfahrzeuges geschlossen. 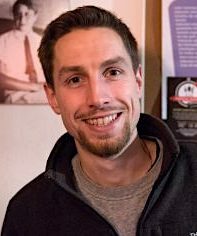 Ich klopfte an eine Scheibe und auf die Frage der beiden Beamten was denn sei, sagte ich: „Schauen Sie sich bitte die rechte Wange dieses Jungen an, dieser Mann wurde soeben 20 Meter weiter weg von ihrem Polizeiauto von einen offensichtlich rechtsorientierten Menschen niedergeschlagen.“ Die Beamten, die eindeutig den Angriff des Rechten gesehen haben, sagten, wir haben nichts gesehen – wer weiß woher dieser Junge diese blauen Flecken hat. Dann habe ich den Polizisten gesagt das ich eindeutig gesehen habe wie sie den Angriff der Rechten beobachtet haben. Der Junge wiederum bestätigte der Polizei, dass er das Polizeiauto gesehen hat, weil er nach einem Fluchtweg suchte und das Polizeifahrzeug aufgrund des Blaulichtes es auf dem Dach wahrgenommen hat. Die Polizisten meinten dann das wir mit so einer Art der Unterstellungen, gerade hier an diesem Ort, sehr vorsichtig sein sollten. Ich fragte den Jungen ob ich ihn ein Stück begleiten können oder sonst irgendwie helfen könne, weil ich merkte das er bitterlich zitterte. Er sagte mir, dass es für ihn normal sei, das er aufgrund seiner Herkunft, von Leute die er nicht kenne und denen er nichts getan hat, geschlagen werde. Er war unterwegs um für seine Mutter beim Bäcker Brot zu kaufen. Dann hat er mir erzählt, dass es in Chemnitz völlig normal wäre, so behandelt zu werden und er es gar nicht anders kenne. Da ich selber, nach meiner Nachtschicht, Hunger hatte begleitete ich den Jungen zum Bäcker. Ich zahlte ihm, bevor ich mich von ihm verabschiedete, sein 500g Brot. Danach saß ich beim Bäcker, schlürfte meinen Kaffee und dachte darüber nach, was es heißt tagtäglich so behandelt zu werden und was es zu bedeuten hat, wenn man in einem Land wohnt wo man immer wieder zu hören bekommt das man nicht erwünscht ist. Es kam der Moment wo ich am liebsten wieder nach Hause gefahren wäre aber ich wusste, dass ich als Antifaschist die Aufgabe habe dort zu bleiben. Da meldete sich unerwartet ein türkischer Genosse, der mich treffen wollte um mir ein Interview zu geben. Wir machten einen Ort aus und ich machte mich zu Fuß auf den Weg. Überall auf meinem Weg durch die Stadt war kaum Polizeipräsenz zusehen. Nur dort wo die Blumen für den ermordeten Tischler Daniel Hillig niedergelegt waren, war auch die Polizei präsent. Ich stand andachtsvoll vor diesem Blumenmeer und ich schämte mich, dass ich selber keine Blume für diesen Kollegen hatte. Fünf Minuten trauerte ich mit den anderen mitfühlenden Menschen, die wie ich fast regungslos verharrten. Sehr oft habe ich Nazis und Rassisten gesehen, die Leute mit Kopftuch einfach weg geschubst haben und gesagt haben dass sie sich doch verpissen sollen oder sie wurden als Schädlinge bezeichnet. Eine Frau mit einem Kinderwagen wurde von zwei Nazis auf die Straße geschubst. Der Kinderwagen blieb zum Glück auf dem Gehweg stehen aber die Frau fiel auf die Straße. Sie hatte Glück dass kein Auto sie erfasst hat. Ich war schockiert am helllichten Tag immer wieder Nazis zu sehen die Frauen und Kinder schlagen, schubsen und sie beschimpfen. Ich war wie in einem dauerhaften Schockzustand, in meiner Trauer über diese Verhältnisse kam es dann endlich zu dem Interview, weswegen ich den Weg auf mich genommen habe. Andre: Hallo Timgül, du hast dich kurzfristig für ein Interview entschieden darf ich dich fragen warum? Timgül: Ja, ich möchte gerne noch etwas loswerden. Auch wenn sich zz. hier in Chemnitz alles sehr schrecklich anfühlt, so gibt es auch aufrichtige, ehrliche nette Menschen, die einem wieder Mut machen. Es ist also nicht alles schlecht! Andre: Was meinst du genau? Ich habe die trauernden Menschen am Blumenmeer gesehen und auf der anderen Seite habe ich sehr viele Nazis und Wutbürger gesehen die eindeutig bereit sind zu jeder Zeit zuzuschlagen. Timgül: Nun ja, es ist ja so die Nazis und nicht die Antifaschisten hier in Sachsen eindeutig in der Überzahl sind. Das ist aber kein Grund auf zu geben, sich täglich als Antifaschist zu outen und mit den Menschen zu reden. Es ist für uns, die hier leben nichts Neues. Durch die Eskalation am vergangenen Wochenende ist der Rest der Deutschen mal wieder darauf aufmerksam geworden und die Presse schickt ihre Reporter um ein Stück von den „News“ zu ergattern. Dabei sollten die Antifaschisten sich aber nicht auf den Angriff der Neonazis beschränken, sondern auch immer wieder den staatlichen Faschismus anprangern. Andre: Naja über den staatlichen Rassismus habe ich mir schon meine Gedanken, z. B. das die Entnazifizierung nie wirklich konsequent stattgefunden hat. Timgül: Es gibt einen großen Teil von Menschen in der Gesellschaft die große Angst haben und sich deswegen nicht wagen gegen die Nazis auf zu stehen. Sie hoffen das sich das Problem von alleine legt und sie persönlich unbeschadet bleiben. Andre: Haben wir eine gewaltsame rechte Revolte vor unserer Brust? Wird es denn überhaupt noch möglich sein diese aufzuhalten? 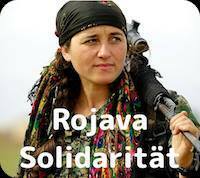 Timgül: Ich sah einmal in der Nachrichten-Gruppe „Linke Nachrichten“ eine Dokumentation über die bewaffneten Rechten in Osteuropa und Russland. Wie bei diesen Nazis sind die Nazis hier in Deutschland ebenso schwer bewaffnet. Einige haben ihre Waffen noch nicht im Besitz und können sie aber jederzeit holen. Andre: Meinst Du das alle Nazis in Osteuropa zwischenzeitlich so gut vernetzt sind, um einen kompletten Umsturz machen zu können? Timgül: Auch die in Rechten in Russland, der Ukraine und Ungarn könnten sofort loslegen. Bloß wir braucht eine Revolte, wenn er Viktor Orban hat und wer braucht eine Revolte, wenn man Putin hat? 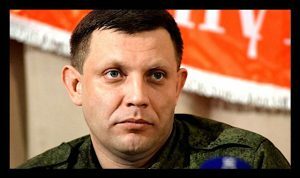 Nur in der Ukraine kann eine rechte Revolution momentan nicht ausgeschlossen werden. Aber auch bei uns in Deutschland könnte es jederzeit soweit sein, der Staat schaut zu, denn er braucht die Rechten und er braucht die Nazis um dem Volk ein Feindbild zu liefern. Ich bin mir sicher, dass der Antifaschismus in Zukunft nicht mehr durch Pazifismus und Friedens Bekenntnisse zu retten ist. Andre: Okay an dieser Stelle bedanke ich mich für das interessante Interview und ich hoffe, dass wir in Kontakt bleiben. Timgül: Ich habe zu danken. Als ich den Ort verlassen habe, gingen mir verdammt viele Gedanken durch den Kopf. Ich wurde definitiv immer noch beschattet und habe die Beschatter auch selber beobachtet. Ich schaue nach links und rechts und die Stadt wurde für mich immer ungemütlicher. Dieses Ohnmachtsgefühl nichts tun zu können war allgegenwärtig und als ich endlich den Bahnhof war ich unglücklich und unzufrieden mit meinem Arbeitsergebnis. Es war für mich auf der einen Seite ein Gefühl von „etwas Nützliches“ getan zu haben und auf der anderen Seite ein Gefühl doch nichts erreicht zu haben. Das was ich in Chemnitz erlebt habe, kann und darf niemals Alltag werden! Die Pressekonferenz zum Start der Initiative „Aufstehen“ hat auch noch einmal versucht, das zentrale Problem dieser Initiative aufzuknacken. Die Ausgangsthesen, in Deutschland gibt es einerseits eine breite Mehrheit für linke Politik, aber andererseits auch einen breiten Rechtsruck, dem eine gemeinsame politische Front aller fortschrittlichen Kräfte entgegenstellt werden muss, passen ja irgendwie nicht zusammen. Rechts ist gar nicht rechts, sondern unverstandenes Volk, dass eigentlich gegen den Kapitalismus protestieren möchte. Man müsste beim rechten Pöbel also ein wenig in die Köpfe und hinter die Fassade schauen, dann kämen sie zur Bewegung. Gleichzeitig ist links nicht links. Die Partei, die sich DIE LINKE nennt, würde die breite Mehrheit für linke Politik nicht ansprechen, das liegt auch ihrer Flüchtlingspolitik, aber vor allem an dem progressiven Neoliberalismus, der sich dort festgesetzt hätte. So weit, so irreal, so Unsinn, aber es war wohl nichts anderes zu erwarten. Den interessantesten Teil hatte Kommunikationsexperte Albers. Er pries die neue Software Pol.is, die all das an liquid democracy noch viel besser machen würde, was von Piratenpartei, LINKE, France Insoumise und Podemos schon ausprobiert wurde und wird. Der einheitliche Prozess von digitaler und analoger Parteidemokratie, mit echten Strukturen von echten Menschen, ist bei der LINKEN vielleicht nicht optimal, aber immerhin im Ansatz gut vorhanden. 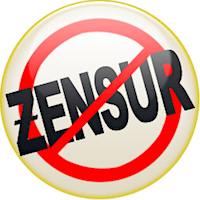 Die Piratenpartei sind an ihrem Projekt der ausschließlich digitalen Demokratie und Meinungsfindung komplett gescheitert, Podemos auch weitgehend – beide suchen jetzt ihr Heil im Aufbau von realen kollektiven Parteistrukturen und bekommen dann den demokratischen Ärger ins Haus, ohne den es nicht geht: Politische Strömungen, Mehrheiten und Minderheiten, Fegefeuer der Eitelkeiten unter den Funktionär*innen, Dialektik der partiellen Errungenschaften usw. Der „demokratische Ärger“ ist nicht durch weniger Demokratie und Topdown-Entscheidungsprozesse, aber auch nicht durch 140-Zeichen-Beteiligung einer individualisierten Basis zu umgehen. Auch France Insoumise lernt das gerade. Die Lösung für diese Problem heißt mehr Demokratie: Befristung von Ämtern, keine Ämterhäufung, Rotation, keine materiellen Privilegien, kein Promi-Kult, sondern egalitäre Kultur – eben eine echte, demokratische, sozialistische Partei, die sich in den Lebensbereichen der Menschen organisiert, für die sie Politik machen möchte. Erstveröffentlichung als Facebookpost am 4. September 2018. Veröffentlichung mit freundlicher Genehmigung des Autors. Bild und Bildunterschrift hinzugefügt von der Redaktion AmericanRebel. Seitdem Ali Can den Hashtag #metoo vor vier Wochen ins Leben rief, regnet es bei Twitter Rassismuserfahrungen. Unter dem Hashtag #metwo wurden innerhalb von nur 2 Tagen 53000 Tweets mit Rassismuserfahrungen getwittert. Die Kampagne ist eine Anlehnung an den Hashtag #metoo, der letztes Jahr weltweit für Aufmerksamkeit in den Medien sorgte, weil tausende Frauen bis hin zu Hollywoodstars wie Angelina Jolie und Gweneth Paltrow unter diesem Stichwort auf Twitter Erfahrungen von sexueller Gewalt, Belästigung und Diskriminierung an Frauen teilten. Der neue Hashtag #metwo wie #ichzwei stehe für Menschen mit Migrationsgeschichte, sagt Ali Can, der sich als Integrationsaktivist bezeichnet und als Initiator des Hashtags gilt. Die zwei symbolisiert damit die Verbindung zu zwei Ländern, die Menschen mit Migrationshintergrund entweder über den eigenen Weg oder über den der Eltern und Großeltern haben. Sie können darunter rassistische, ausgrenzende oder vorurteilsbeladene Erfahrungen mit Mitmenschen und der Gesellschaft teilen. Viele Betroffene sagen „endlich ist Rassismus Thema und endlich reden wir mit“, andere zeigen sich betroffen, weil sie davon in ihrem Lebenskosmos nichts mitbekämen, Kritiker sagen, dort melden sich vor allem privilegierte Menschen mit Migrationsgeschichte „Es sind Journalisten, Buchautoren, Politiker – Menschen, die zu einem erheblichen Teil über Privilegien verfügen, von denen viele der „alten weißen Männer“, denen sie mangelnde Empathie für Rassismuserfahrungen vorwerfen, nur träumen können.“, kritisiert z.B. taz-Autor Jörg Wimalasena mit Migrationshintergrund. Wie gut die Twitter-Kampagne also den Rassismus in Deutschland als Ganzes oder damit auch im Kern erfasst, sei mal dahingestellt. Die vielen unter dem Hashtag verfassten Beiträge zeigen jedoch: Es gibt ihn und nach einer ersten Untersuchung einer Stichprobe zeigt sich: besonders häufig in der Schule. Das überrascht nicht, wenn man bedenkt, dass Schule und mit ihr verbunden das Lehrpersonal ein Selektions- und Reproduktionsfaktor unserer gesellschaftlichen Verhältnisse sind. Kinder reicher Eltern sind fein raus, die sind auf Bildungsabschluss und Noten nicht angewiesen, wenn man zu Hause einen eigenen Fuhrpark besitzt oder keine finanziellen Nöte kennt, kann man sich zur Not einen Privatabschluss leisten. 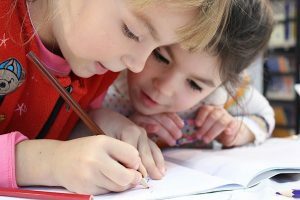 Alle anderen Kinder; die lohnabhängiger Eltern, dürfen in der Schule um einen hohen Bildungsabschluss kämpfen. Das „lehrt“ sie dann rechtzeitig mit dem Wettbewerb auf dem Arbeits- und Wohnungsmarkt umzugehen oder eher ihn ohne Empörung hinzunehmen, schließlich haben sie die schlechteren Leistungen erbracht, oder das schlechtere Verhalten gezeigt. Rassismus ist in dieser Selektionslogik ein besonders guter Legitimationsfaktor, denn für Bewertungen, die nur zwischen gut und schlecht unterscheidet, braucht es immer ein „Ideal“ oder „Normalmaß“, an dem alle gemessen und bewertet werden. Das Ideal bestimmt, was normal ist und was nicht, was gut ist und was nicht. In Deutschland ist das Maß „deutsch“, „weiß“, „gehorsam“ und gehört der ökonomischen Mittelschicht an. Warum sonst sind die Fähigkeiten zum Einsatz von Adjektiven in der deutschen Sprache eine bessere Leistung zum Schuleintritt, als die Zweisprachigkeit eines Kindes? Warum ist ein schüchternes Kind in Ordnung und eines mit Bewegungsdrang krank? Warum wird die gleiche Leistung von Ole besser bewertet, als von Kevin und warum wird Aysegül trotz guter Noten lieber die Stadtteilschule empfohlen? Besonders eindrücklich zeigt die diskriminierende Wirkung von Standards eine Karikatur zu Chancengleichheit in der Schule. Sie zeigt eine Schulklasse und ihren Lehrer. Die Vielfalt unter den Schülerinnen und Schülern ist symbolisch durch unterschiedlichste Tiere dargestellt. Die Tierklasse bekommt vom Lehrer die Aufgabe auf den Baum zu klettern. In dieser Situation wird sofort deutlich, dass erstens die Bewältigung der Aufgabe u.a. für den Goldfisch oder den Elefanten unmöglich ist und zweitens die Bewertung ihrer Leistung gar absurd im Vergleich zu der Leistung des Affen. Zur Begegnung gegen Rassismus in der Schule ist interkulturelles Training für das Lehrpersonal und als Teil der Ausbildung vonnöten, wie es vielerorts schon länger gefordert wird. Zur Begegnung von struktureller Diskriminierung und Abwertung bedarf es hingegen einer Revolutionierung des Schulsystems und unserem Verständnis von Bildung und Erziehung. Erstveröffentlichung in „NeuesLeben/YeniHayat“ vor ein paar Tagen. Veröffentlichung mit freundlicher Genehmigung des Herausgebers. einen linken Erzieher „abschießen“ wollen! Jens ist bekannt als guter Kollege, engagierter Erzieher und verlässlicher Mitstreiter. Jens ist Mitarbeitervertreter, aktiv in der Gewerkschaft, im Bündnis „Stuttgart gegen Rechts“ und Mitbegründer des Linken Zentrums Lilo-Hermann in Stuttgart-Heslach. Dass er sich aktiv gegen den Rechtsruck und die immer stärker aufgebaute AfD engagiert hat, passt dieser selbstverständlich nicht. Am 19. Juli ’18 gab Emil Sänze, AfD-Landtagsabgeordneter eine Presseerklärung heraus, in der er die antifaschistische und antikapitalistische Tätigkeit von Jens anprangerte. Das griff am 13. August 18 ein Redakteur der Stuttgarter Nachrichten fast wortgleich in zwei reißerischen Artikeln auf. Der Tenor: Wie kann so jemand als Erzieher arbeiten? Also: Offene Hetze und Forderung nach Entlassung! Hinzukam, dass „Sicherheitsbehörden“ dem Journalisten anonym Informationen zugespielt haben, also illegal. Ein CDU-Landtagsabgeordneter durfte da nicht fehlen und forderte die Entlassung von Jens. Eine offene Kooperation von AfD, Stuttgarter Nachrichten und CDU. „Die AfD will dabei etwas skandalisieren, was gar kein Aufreger ist, sondern vielmehr selbstverständlich sein sollte: Solidarität und Antirassismus sind wichtige Bestandteile einer Erziehung zum mündigen Menschen. Es ist nur konsequent dafür auch außerhalb der Kita einzustehen. So ist nicht das Engagement von Jens der Skandal, sondern die Tatsache dass und vor allem wie die Inszenierung der AfD aufgegriffen wird. Für die Stuttgarter Nachrichten scheint Jens‘ politisches Engagement, das nie ein Geheimnis war, ein gefundenes Fressen. In einem reißerischen Artikel macht sich so ein Redakteur mit fragwürdigen journalistischen Methoden zum Handlanger der AfD. Auch die CDU-Landtagsfraktion mischt mit, indem sie den Rauswurf von Jens aus der Kita fordert. Der Fall macht im Kleinen deutlich, was auch im Großen Alltag geworden zu sein scheint: Die AfD fordert, die CDU zieht nach. Für mich ist klar: Rassisten und Antisemiten entscheiden nicht darüber, wer in pädagogischen Berufen arbeitet und wer nicht. Und: In einer Zeit in der Unterkünfte für Geflüchtete angezündet werden und in Regierungskreisen über Lager für Menschen diskutiert wird, ist das Engagement für ein solidarisches Miteinander notwendiger und aktueller denn je. Wir erklären uns daher solidarisch mit Jens. Das Problem sind nicht diejenigen, die gegen die Hetze von Rechts aktiv sind, sondern die, die eben jene verbreiten. └ Tags: Diethard Möller, Emil Sänze 19. Juli '18, Entlassung von Jens, Jens bleibt Erzieher, Möller, Rauswurf von Jens, Stuttgarter Nachrichten "abschießen"
Die Kunsthalle Rostock hatte die Idee zuerst, die Dänen haben sie in Viborg aufgegriffen, zu wahrer Größe kam die Ausstellung im Potsdamer Filmmuseum »Mächtig gewaltig! – Die Olsenbande …« heißt die Sonderausstellung. Zur Eröffnung Anfang Juli kam die Olsenbande höchstpersönlich, zumindest die stolzen Reste. Benny (Morten Grunwald) und Børge (Jes Holtsø) sind die beiden aus der Kernmannschaft, die nach dem Ableben von Yvonne (1987), Kjeld (1998) und Egon (2004) das Winkelement der Ganoven hochhalten. Der einst tänzelnde Benny wird in diesem Jahr 84 und ist nicht mehr gut zu Fuß. Die gelben Socken hatte ihm Kostümbildnerin Lotte Dandanell ausgesucht, die auch nach Potsdam gekommen war. Ohne ihr Wirken hätten die Filme nicht das typische Flair gehabt. Vor allem Yvonnes Kleider mit den vielbewunderten Dekolletés waren Meisterstücke, aber auch eine Herausforderung. »Kirsten Walter fehlte etwas Oberweite, und es brauchte Fingerspitzengefühl, das durch die Kostüme auszugleichen«, erzählte Dandanell, die seit einigen Jahren mit Entwürfen von Stoffcollagen international Erfolg hat. Der kleine Børge ist ein reifer Herr mit weißem Bart geworden, aber das will nichts heißen. Jes Holtsø, wie er wirklich heißt, arbeitete nach der Olsenbande – die sieben Jahre in der auch in der DDR beliebten Serie »Oh, diese Mieter« nicht zu vergessen – in sozialen Berufen. Mit Anfang 50 ist er noch mal durchgestartet – in die Endrunde der dänischen Fassung von »Das Supertalent«. Seitdem tourt er als Frontmann einer Band. Zur Ausstellungseröffnung in Potsdam setzte er sich ans Klavier, spielte und sang Blues. Mit seinem Partner Morten Wittrock wird er demnächst Auftritte in Dresden, Stralsund und Zittau bestreiten, das Konzert im Potsdamer Filmmuseum im Oktober war so schnell ausverkauft, dass ein zweiter Termin angesetzt wurde. Holtsø war von der Ausstellung ebenso begeistert wie Grunwald. Dandanell bekam zunächst einen Schreck, als sie Yvonnes Kostüme sah. Die gefielen ihr gar nicht, stammten sie doch nicht von ihr, sondern aus dem ersten deutschen Olsenbanden-Theaterstück »Die Olsenbande dreht durch«, das 1997 in Cottbus uraufgeführt wurde. 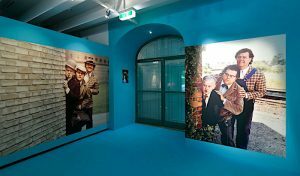 In der Ausstellung waren dann doch viele Arbeiten der Grande Dame des dänischen Films zu entdecken, darunter Kostüme von Egon und Kjeld – sie war versöhnt. Die Schau wäre zwar auch faszinierend, aber nicht komplett, würden nur die 14 Filme mittels Ausschnitten am Monitor, Fotos und Plakaten präsentiert, nicht auch das Umfeld. Das wird in großen Räumen gegenwärtig, etwa angesichts von Fotos aus »Die Olsenbande leistet sich was«, einem Distel-Sketch, den Egons Synchronsprecher Karl Heinz Oppel 1985 geschrieben hatte, der darin aber den Benny spielte. Dem war er ähnlicher. Hinweise auf Reverenzen der Olsenbande-Autoren an große Vorbilder wie Chaplin, Hitchcock, Tati machen ein Stück Filmgeschichte lebendig. Originellerweise sind die Räume durch eine von hochgetürmten Bierkästen gesäumte Gasse verbunden – natürlich Tuborg, das Bier der dänischen Arbeiter, Lieblingsmarke der Olsenbande. Ein Bierkasten fällt aus dem Rahmen: Sternburg. Das hätten die Helden wahrscheinlich getrunken, wenn sie in der DDR tätig gewesen wären. Grunwald erzählt gern, wie Ove Sprogøe (Egon), Poul Bundgaard (Kjeld) und er gemeinsam in die DDR reisten und schon an der Grenze aufgehalten wurden, weil alle vom Zoll zusammenkamen, um die Olsenbande zu sehen. In Berlin/DDR wurden sie überall von normalen Leuten eingeladen; als sie die Grenze nach Westberlin passierten, um im Schillertheater Samuel Beckett zu treffen, nahm niemand mehr Notiz von ihnen. Die Ausstellungsmacher gaben den einzelnen Räumen Überschriften wie »Was würde Yvonne dazu sagen?« Das war immer die Grundfrage, wenn sich die Autoren Erik Balling (auch Regisseur) und Henning Bahs (auch Szenenbildner) zusammensetzten, um den nächsten Film zu schreiben. Eine andere Überschrift stammt aus dem elften Film »Die Olsenbande ergibt sich nie«, in dem Egon sagt: »Dieses Land ist zu klein für mich – macht damit, was ihr wollt!« Diesen Satz sollen viele DDR-Fans verinnerlicht und einige Jahre später eine kleine Invasion in Dänemark veranstaltet haben. Ein überlebensgroßes Graffito lässt Kjeld mit weit aufgerissenen Augen ängstlich ausrufen: »Zwölf Millionen, Egon!« Der gelungenen, kurzweiligen Sonderschau zum 50. Jahrestag der dänischen Premiere des ersten Olsenbande-Films sind denn auch mindestens 12 Millionen Besucher zu wünschen! .Bis 17. Februar, Di. bis So., 10–18 Uhr, Filmmuseum Potsdam, Marstall. Dieser Artikel erschien vor ein paar Tagen in Junge Welt. Veröffentlichung mit freundlicher Genehmigung des Autors. Weitere Artikel von F.-B. Habel. The events in the Saxon city of Chemnitz were truly frightening. The sight of thick-skulled, Nazi-tattooed thugs growling threats as they stormed through the city center, chasing and beating up presumed “foreigners”, unfriendly journalists or any other foes; invoked memories of Charlottesville a year ago – or Germany in the 1930’s; stretched-arm Hitler salutes from the base of the large bronze bust of Karl Marx in Chemnitz added bitter irony. Especially alarming was the shoulder-to-shoulder friendship at the head of the biggest march between leaders of the “anti-Islam” PEGIDA, the violent football hooligan mob Pro Chemnitz, various semi-taboo Nazi groups and the “respectable” Alternative for Germany party (AfD), with 92 deputies in the Bundestag, which is now vying for second place in national polls and eagerly awaiting the next elections. Also disturbing was the conduct of the police. Always quick with mass deployment at leftist rallies, this time, despite clear signals, only 600 cops were sent in to control 6000 or more thugs. At the next confrontation two days later the police blocked up several hundred anti-fascist demonstrators for hours in a so-called kettle operation, not letting even first aid helpers out unless they were physically supporting one of those injured. As ever after such events there was a loud cry of anguish from most pillars of society. 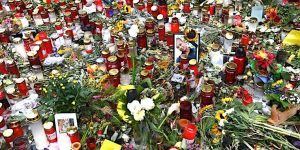 Saxony’s minister-president decried violence again – but again played down its importance. In view of AfD strength in Saxony some fear he may be thinking of a coalition with it after state elections in 2019. There has been more than enough collusion at higher levels. Hans-Georg Maassen, head of the Office for the Protection of the Constitution (BfV) – like the FBI – first denied accusations that he had met several times with Frauke Petry when she was AfD leader to advise her about winning more popularity. He was then forced to shamefacedly admit “the possibility” of having met her but denied giving advice, saying that he „regularly meets“ with parties to discuss threats to politicians and their parties and this was “guaranteed by the government and conducted in confidentiality”. Now, after Chemnitz, he has asserted that videos showing goons chasing foreigners were fakes, while using the word “murder” in describing the stabbing which set off the events in Chemnitz – before any trial has been held (most likely not for murder but for “manslaughter”). This went too far, even for Merkel. Germany’s Interior Minister, Horst Seehofer, now in a desperate fight to retain power for his Christian Social Union party in Bavaria in the October 14th elections, backed him up in understanding the Chemnitz rioters. For him, perhaps, there were “good people on both sides”. But then, like a ray of sunshine, came truly good news! Quickly reacting to the mob take-over, anti-fascist groups organized an open-air concert in Chemnitz with seven rock bands. 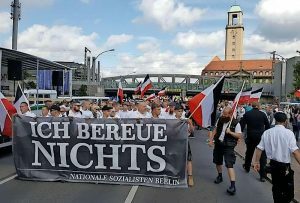 Their slogan was “Wir sind mehr!” – “We are more” (or “We’re the majority”) and while six to eight thousand fascists from all over Germany had raged through town on Monday August 27th, very different crowds now poured in the following Monday, also from all over Germany: estimates ranged from 50,000 to 65,000! Mostly young people, they enjoyed their kind of music – which, that evening, bore a clear, sharp, anti-fascist message. While right-wing media sniffed that one of the bands was very far-left radical, even President Frank-Walter Steinmeier sent his blessing to this big boost for all those opposing the Nazi menace. Lines were being drawn in Germany! That was on September 3rd. 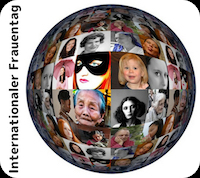 One day later it was followed by another key event, the long-awaited launching of a new “collective movement” – “Aufstehen” (Stand up, or Rise up! – and pronounced Owf-shtain). 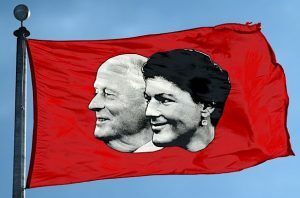 It is led most prominently by Sahra Wagenknecht, co-chair of the LINKE (Left) caucus in the Bundestag, and her husband Oskar Lafontaine, once a top Social Democrat in West Germany, then a co-founder of the united East-West LINKE party. 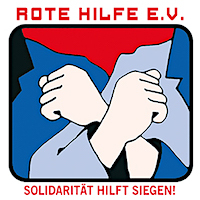 Supporters of Aufstehen point out that the Social Democratic Party has largely abandoned its close participation in the struggles of the labor movement and the fight to preserve world peace, especially in the past twenty years, often as part of the government. This had cost it eight million voters. Most of these, dissatisfied by stagnant and worsening conditions for working people and worried about the future, either refrained from voting or fell for the siren voices of the AfD, including their anti-immigrant ranting. Relatively few moved to the LINKE party, now all too stable at 9-11% in the polls. Especially in eastern Germany where, once much stronger, it had often joined in state coalition governments, and many now saw it as “part of the establishment”, one of the “same old parties”. As for the Green party, although currently gaining in the polls, it has been lampooned by a one-time founder and party leader, who is now joining Aufstehen, as “being no longer interested in fighting structural poverty” but rather in making life better for its well-to-do membership and going along with the military adventurism of the government. It had even tempered its environmentalism. This question is a main cause of dispute in the LINKE. Some claim that Aufstehen goes too far in down-playing the racist anti-immigrant, anti-foreigner aspects of the rightist increase with its attraction of confused or misled voters. They say Sahra Wagenknecht or Lafontaine should have gone to Chemnitz. Of course, this could apply to innumerable other leaders, but perhaps it hurts more in this case. She stresses the guilt of western nations, like Germany, in causing mass migration, and the need to end exploitation and weapons sales. But questions and debates on left-wing attitudes toward immigrants, refugees and borders will hardly be avoidable if and when Aufstehen grows. The new movement, though close in nearly all other questions to the LINKE, is not aligned against any left-of-center party but wants to increase pressure on all three main ones. Its first list of forty better-known supporters includes two or three once prominent Greens and two or three Social Democrats, including a son of former Chancellor Willy Brandt, one SPD member of the Bundestag, and young Simone Lange, mayor of the North German city of Flensburg, who received a surprising one-third of the vote at the last SPD party congress in a rebellion against firmly-established Andrea Nahles. There were also writers, musicians, religious leaders, and middle-level union leaders. That is the chance, that is the hope of many progressively-thinking Germans, who have looked with some envy at the mass appeal of the Sanders and Corbyn movements, of Podemos in Spain and Jean-Luc Mélenchon in France. 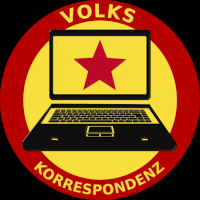 The great concert in Chemnitz and more recent rallies have indicated the potential for a wide-reaching turn toward the left. If effective it will certainly be attacked in many ways. Its main hope lies in the degree of activity and action it promotes, for peace and for the people. It cannot begin too soon!